For two months in a row, Nintendo has put Kirby at the center of its free games through Club Nintendo. Last month saw the popular Kirby Super Star available for free on the Wii U, but this month is unlike any other Kirby game you've ever seen. How is that? Because it's a mini-golf game! 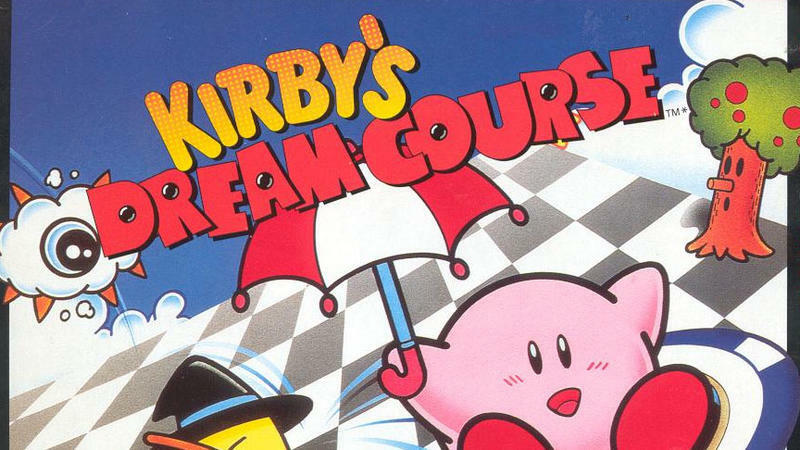 Kirby's Dream Course is natively available for the Wii U Virtual Console at 200 Coins, and it comes with a high recommendation, especially for puzzle game fans of the likes of Crashmo and Pushmo. HAL Laboratory started development as just as normal isometric mini-golf game but retooled it afterwards to introduce all of Kirby's abilities and enemies. The result is a strange combination of platforming, physics, and timing, looking for that perfect moment to activate a power. This is a complete package, and the fun doesn't stop until you've parred and birdied every level. Also available natively on the Wii U is Wrecking Crew, an old Mario platformer from the launch of the NES and the first game to star Wario, before he was named "Wario" of course. I'm not the biggest fan, but its there if you want it. The level creation system will provide theoretically infinite replay value for you and your friends. The Wii U closes out with Zoda's Revenge: StarTropics II, the underrated sequel to Nintendo's underrated American developed action adventure title, and Maboshi's Arcade, which I've never heard of. Neither has native support and will require a trip to the Wii Menu to play. As for the Nintendo 3DS, you have you choice of two classics. Donkey Kong '94 on the Game Boy is secretly the best Donkey Kong game of all time and a worthy addition to any digital collection. Director Masayuki Kameyama is one of the biggest mysteries of Nintendo's history seeing how he made two of the most beloved Game Boy cult hits before vanishing from video game history. 3D Classics: Kid Icarus is a retooled version of the popular NES hit, and it not only sports 3D graphics but also entirely new physics, making it a much more enjoyable and playable game than the original. Both games get the stamp of approval. The final two games on the 3DS are Kersploosh, another I've never heard of, and Brain Age Express: Math. No thanks, I'd rather study physics with Kirby's Dream Course, which I am downloading right now.